A collection of stylish homes located just off Spellowgate, Driffield. Book now to view one of our homes for sale in Driffield, an attractive market town in East Yorkshire. 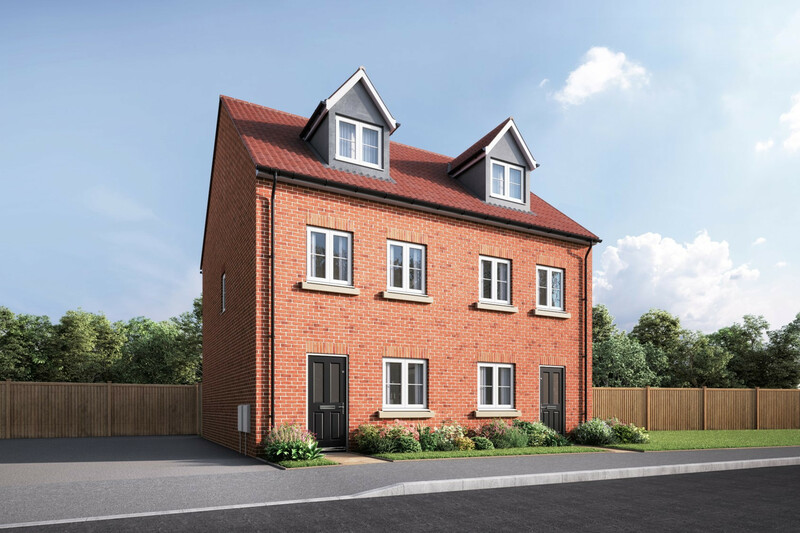 With local amenities and a choice of historical country houses nearby, these homes will offer first time buyers the chance to get on the housing ladder, and will give families the opportunity to expand and grow. With simple access to the area’s extensive ‘A’ road network - and the nearest train station less than a mile away - commuters and those who need to travel will find these properties for sale in Driffield perfectly located. This fabulous 3 bedroom home is split over three floors. The living room at the rear has glazed doors leading out onto the garden. Also on the ground floor are the kitchen diner and cloakroom. To the first floor are 2 bedrooms and the family bathroom. A lobby features a staircase leading up to the master suite on the second floor which boasts an ensuite. Outside off road parking completes this lovely family home.